producer: Dana (pronounced “dahna”). It’s the owner’s nickname, which means “generosity” in Sanskrit. And the lotus flower on their labels represents rebirth for the way that vines blossom every year. 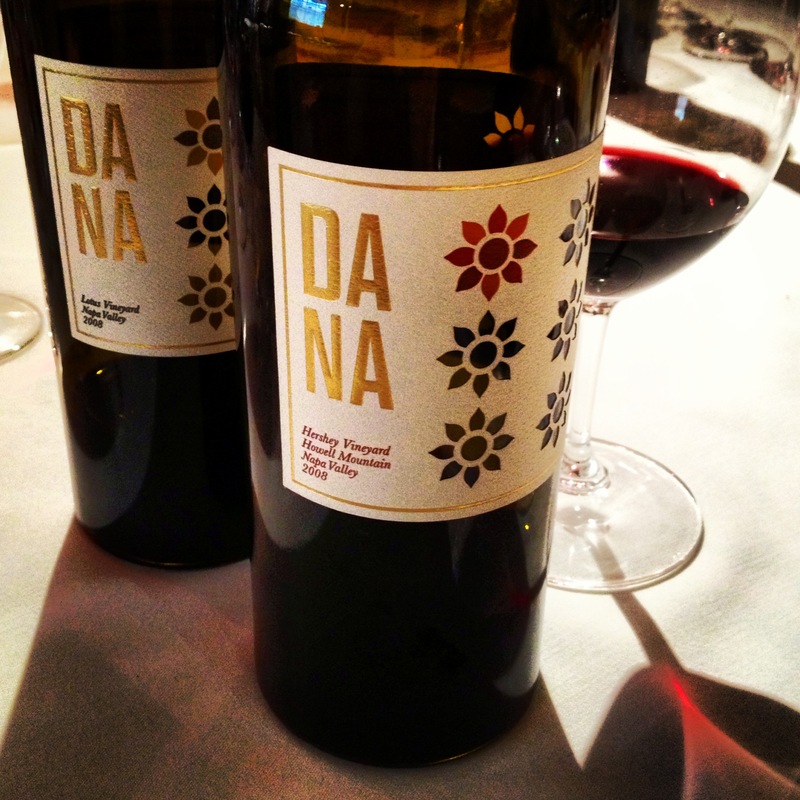 yum factors: Dana makes three single-vineyard Cabs – I loved this Hershey the most. It’s tamed blackberry floats around the chocolate and delicate mineral. Howell Mountain wines are usually insane but in a feral, crazy bold way. This one has a slight touch of wildness, but it’s elegant. Like how Angelina Jolie used to jump into the pool at the Beverly Hilton in her awards gown but now does charity work for the UN. Previous post ← ashton and mila drank sherry. and the daily mail drives me crazy. You’d be surprised… Most crazy expensive wines I have (the few!) are good but not worth multiple hundreds of bucks. This one’s amazing. Wow. I can’t imagine. Never had one over 130ish. Cheers!